The painter of portraits, children and interiors is one of the most outstanding personalities amongst the several hundred Polish artists in the Munich School at the end of the 19th century. 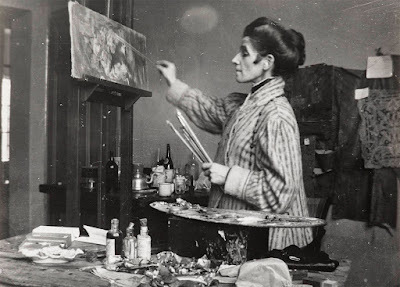 After training as an artist in Kraków she moved to Munich in 1886 to continue her studies, and three years later she opened her own studio. She spent her summers in Kraków. Today she is almost completely forgotten in Germany. By contrast she is regarded in Poland as one of the most important Polish painters. In 2014/15 the National Museums in Kraków and Warsaw honoured her with comprehensive exhibitions and publications.